For over 20 years JD Hardscaping has been striving to provide customers with their ideal outdoor paradise. We offer many different and unique services that both enhance and transform. There is nothing more important to JD Hardscaping than our customers. They are what keep us going; so we owe it to them to never settle for anything but extraordinary. We execute our projects with professionalism, efficiency, and with as little intrusion as possible. We go in, get the job done, and leave our customers happy. We only offer the highest quality in outdoor fixtures, and we install them with 20 years of expertise. JD Hardscaping is not new to the construction world. Our project technicians receive extensive training as well as year of experience. They know what they are doing and how to do it well. Their expertise matched with the companies unheard of dedication can guarantee you that if you choose to partner with JD Hardscaping for your outdoor project, satisfied will be an understatement. We will not settle for anything less than exceptional! Choose JD Hardscaping and you truly will receive the best! B-Level SE, Inc. provides concrete lifting, leveling, and foundation repair services throughout the Southeast. B-Level can repair just about any concrete area from driveways, sidewalks, stoops and warehouse floors, to foundations and bowed basement walls. We service commercial, residential, industrial and government clients for a broad range of concrete repair needs. We take pride in the work that we perform and guarantee that your job will be handled professionally, cost efficiently, and in a timely manner. Give B-Level SE, Inc. a call and schedule an appointment today!! We are available when you need us and are ready to service all of your concrete needs. 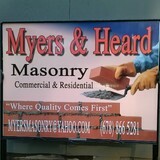 Myers & Heard Masonry Contractors specializes in all commercial and residential Masonry bricks and blocks projects. Mailboxes,brick patios,retaining walls,new construction,brick repair,concrete driveways and much more. Call Myers & Heard Masonry Contractors today for your free affordable estimate @ 678-866-5281. Imagine, if you will, a reliable company located in the North Atlanta Georgia area, whose main focus deals with driveways and concrete work, retaining walls, patios, parking lots, and timbers. Imagine a company that cares for its customers and always strive for excellence. You are envisioning Driveways R' Us, a leader in driveways, retaining walls, and concrete work since 1989 first in Florida and now the North Atlanta Georgia area. Driveways R' Us promises nothing but the highest quality of workmanship. Looking for driveways and concrete work in the North Atlanta Georgia area? Interested in beautiful retaining walls that will make your friends jealous? Are you a victim of a sink hole under your driveways? Feel free to give us a call to address your concrete needs. Driveways R' Us located in the North Atlanta Georgia area is the epitome of value, affordability, outstanding customer support, and the best quality work. Welcome to REO, we offer paving , milling, and concrete services to commercial and residential, we have a commitment to high ethical principles, using the highest industry standards for all the works we perform - Safe, Reliable, Quality Oriented with competitive price. All jobs will be offered with one year warranty. (Serving Metro Atlanta & Surrounding Areas) please call us for free estimate. Over 20 years of experience exceeding expectations for custom driveways, patios, walkways, sidewalks and other concrete projects in and around Atlanta. We work to elevate your curb appeal to the next level while providing you with a durable and lasting product that is also affordable. For driveways that stand out from the rest, we offer colored and stamped concrete options that will further enhance the beauty of your home. We specialize in driveway replacements. No sub contractors. We offer a written 10 year replacement warranty. Call us for a free estimate. 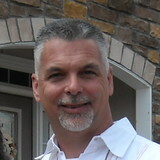 Mainbrick International, a member-managed limited liability company, was organized in Georgia at the beginning of 2011 to market and distribute a line of German manufactured construction and landscaping products in the United States. The Company holds the exclusive United States marketing and distribution rights to a unique paving product, branded as Mainbrick Paving Joint Filler, which has been available across Europe and in other select international markets for several years. Mainbrick Paving Joint Filler is a unique formulation that has been developed and refined by the manufacturer over many years. The result is a product that can be installed quickly, easily, and environmentally friendly using only water and a broom. This is the perfect solution for finishing your flagstone surfaces. Master Paving Company is a licensed and insured concrete paving company serving residential and commercial customers in metro Atlanta. We specialize in replacements, repairs, and extensions of driveways, sidewalks, patios, and slabs. Our contractors are craftsmen who bring years of experience, formal education, and raw talent to the table. Along with quality workmanship, Master Paving Company offers the highest level of customer service. Our professionals are prompt, and proactive when it comes to satisfying your needs. Contact us today for your free quote and learn why we are the fastest-growing concrete replacement and repair professionals in Greater Atlanta. A2 Carved-N-Stone, Inc strives to be the premiere concrete contractor for the Atlanta and surrounding areas. For years, companies and individuals have put their trust in us for their concrete needs. Combined with a highly skilled team, use of quality material and expedient service we have continued to prove, without a doubt, that we are the leader in the industry. Regardless of project size, we strive for accurate and timely completion with attention to detail being one of our strongest qualities. We bring over 25 years of professional experience in the concrete industry to your job. We are licensed and fully insured. We take pride in everything we do, and sincerely look forward to serving you. Using concrete can facilitate the process of obtaining LEED® Green Building certification. Leadership in Energy and Environmental Design (LEED) is a point rating system devised by the U.S. Green Building Council (USGBC) to evaluate the environmental performance of a building and encourage market transformation towards sustainable design. The system is credit-based, allowing projects to earn points for environmentally friendly actions taken during the construction and use of a building. LEED was launched in an effort to develop a “consensus-based, market-driven rating system to accelerate the development and implementation of green building practices.” The program is not rigidly structured; not every project must meet identical requirements to qualify. Experienced Concrete Company. Best Concrete Prices In Atlanta. From installation to repair, Panthersville, GA driveway contractors are responsible for a variety of planning, installation, construction and driveway maintenance services. Driveway installation. Before work begins on a new or replacement driveway, your professional should create plans based on your needs and material choices, as well as your property grade, soil and other Georgia landscape factors. When it comes to the actual driveway construction, driveway contractors are responsible for preparing the site, obtaining the necessary materials, making sure a strong foundation is laid, operating equipment and heavy machinery, and cleaning up the site afterwards. Driveway materials. 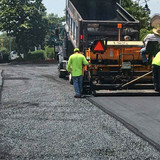 While most driveway contractors in Panthersville, GA primarily work with asphalt, they are also experts on the wide range of available driveway materials. If you are looking for something different than a standard asphalt driveway, your pro can help you select driveway pavers or customize a brick driveway design. A driveway installation and maintenance professional may work closely with a Panthersville, GA builder, landscape professional or various manufacturers and suppliers. 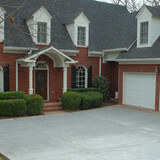 Find a Panthersville, GA driveway installation and maintenance professional on Houzz. Narrow your search in the Professionals section of the website to Panthersville, GA driveway installation and maintenance. You may also look through Panthersville, GA photos to find examples of driveways that you like, then contact the professional or contractor who worked on them.